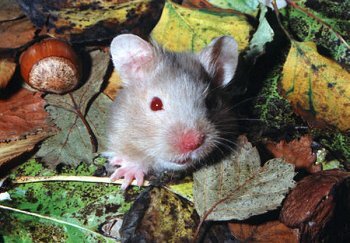 Animals come in all shapes and sizes from rodents like mice to large mammals like elephants. Animals can make very eye catching subjects to photograph whether wild or domesticated. However there is a distinct difference between a wild animal and a domesticated one. This will dictate how the subject will be approached. Wild animals are those found in their natural habitat and are surviving without any sort of aid, with the exception of zoos and preserves. Domesticated animals are those who exist with the assistance of man. Pets like cats and dogs are immediately identified as domesticated but farm animals would also fall under this category. A family or friends pet is probably the easiest animal subject to get access to. Many of you probably have a pet such as a cat or even of course man’s best friend, a dog. Some people have more exotic pets like mice, snakes, turtles and the odd big cat or monkey. Whatever the pet, they are probably the best animal subjects to get a hold of, as they are easily accessible and familiar to you. An image of a hamster in a cage will not win any awards. An image that shows a bit of thought and imagination like this one in fig 1 will definitely stand out. We all have the typical “Rover on the couch” photo. These are images of our pets lying in their bed or on somebody’s favourite chair. These photos are a nice record images for personal use but will not have the impact to stand out when presented to impress, particularly in a competition, exhibit or in a portfolio. The trick to a good pet photo is to capture the pet’s personality. This can be achieved by communicating with the animal, such as simple commands to a dog. Another way is to put it through a favourite routine like a dog catching a Frisbee. Whatever the pet, they all have their “party pieces” that keep you amused. In most cases these acts can be captured on a still image. We often think of pets as only domesticated but this title covers a much greater variety of animal. Farm animals are a typical example of a domesticated animal. Sheep, cows, pigs and horses, naming a few, would fall in this category. City dwellers may not have much access to this type of animal but they should by no means be ignored. Though these animals do not show much in the way of personality, images of them in their surroundings can be quite serene and picturesque. Horses for example make good subjects either in stables or out galloping through open fields. Pigs can make for humorous images as they muck about in their pens. The places to find these animals are most likely farms and ranches. These are not commonplace of course in urban areas but there are many farms and ranches that are open to the public, usually nearer to you then you think. Check out your local press or tourist information outlets. For most of us the only way we will ever see a wild animal such as a lion, elephant or gorilla is in a zoo or park. In many cases the surroundings do not lend themselves to natural or even pleasing images. Animals in captivity after all are not generally the happiest. There are some that go out of their way to perform though and great images are there for the taking. The advantage of photographing animals in zoos is their close proximity. In some cases it would not be difficult to fill the frame with the portrait of an animal with a standard lens. The disadvantage of course is bars and fencing can get in the way. One way to overcome fencing is to get right up to it and use the widest aperture your lens will allow. Once focused on the subject the fencing would be so out of focus that it would “disappear” from view in the image. 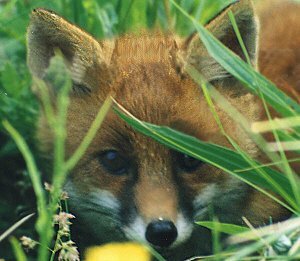 Shots like this one in fig 3 of a fox in the wild can be hard to come by but are magnificent if they are captured well. It is hard to appreciate the difficulty in taking wildlife photographs until you actually try it. We take for granted the wildlife images that we see on television or in books and magazines and it all seems so easy. In reality there is much more involved in photographing wildlife then just going out on a whim and taking a few shots. Successful wildlife photography takes careful planning, determination and much patience. Much of the time taken in wildlife photography is planning where to shoot and waiting quietly and patiently in a hide for that shot. Many wild animals are extremely fast, especially small ones. Once the opportunity to shoot the little critters arises, there is no time to waste; the camera must be at the ready. Fast shutter speeds are essential for most wildlife images to avoid blur in an image from the subject’s movement. Long lenses are also needed to fill the frame with a subject that may be some distance away. Because fast shutter speeds are difficult to come by with long lenses, fast lenses combined with fast film is also a requirement. Wild animals are not always found in the deepest jungles, you may see them in your own backyard. Small creatures like squirrels, hedgehogs, badgers and foxes are considered wild and often dare to roam near human habitation. Do not under any circumstances jeopardise an animals safety or force them by whatever means to do what they do not want to do. Animal cruelty comes in many forms and should not be used to contrive any sort of an animal image.